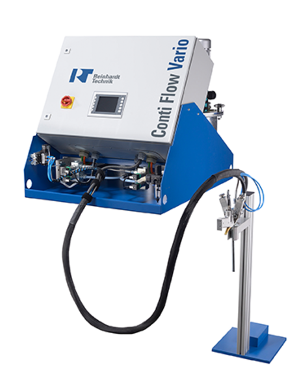 A compact and variable table-top unit for manual or automatic production processes. Servo driven precision gear pumps provided highest precision metering with low to medium viscous materials. Variable metering programs for optimized processes including inlet and outlet pressure control. Configurable with Different Feeding Units, tanks, pails, drums, or totes.